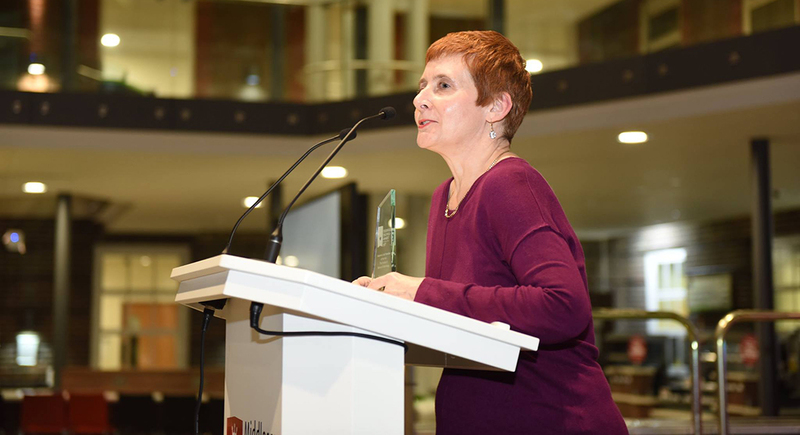 Students and staff gathered to praise excellent teaching and partnership at the annual Middlesex University Student Union’s (MDXSU) Student-Led Teaching Awards on 4 April. 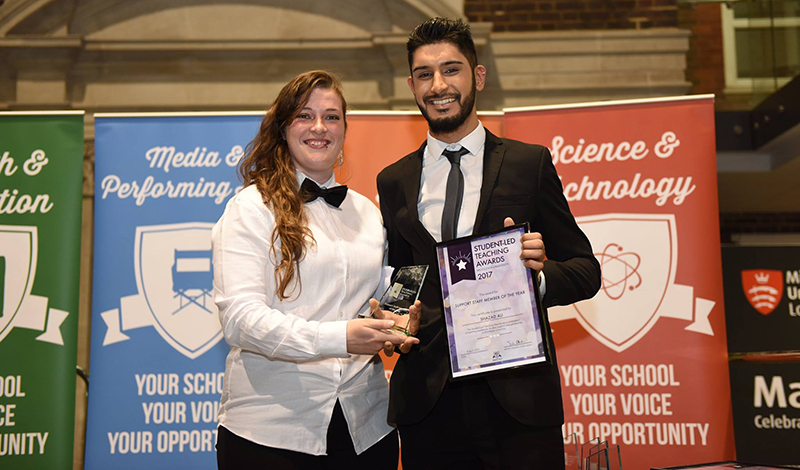 The awards were established in 2014 to recognise and reward the incredible staff at Middlesex and are entirely student-led, with students placing all 950 nominations and sitting on the shortlisting panels alongside elected student officers and staff. 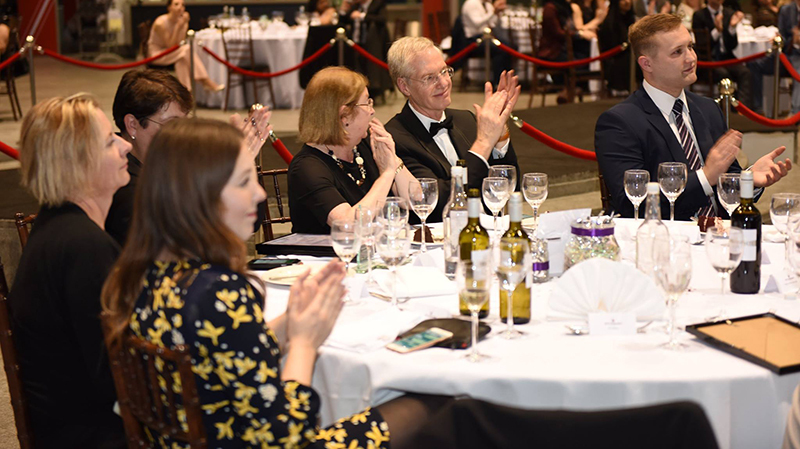 "We are truly lucky to be at a university where staff and students work so effectively alongside each other to make our community one to remember,” says Katie Dragomirova, MDXSU Vice-President of Business and Law. 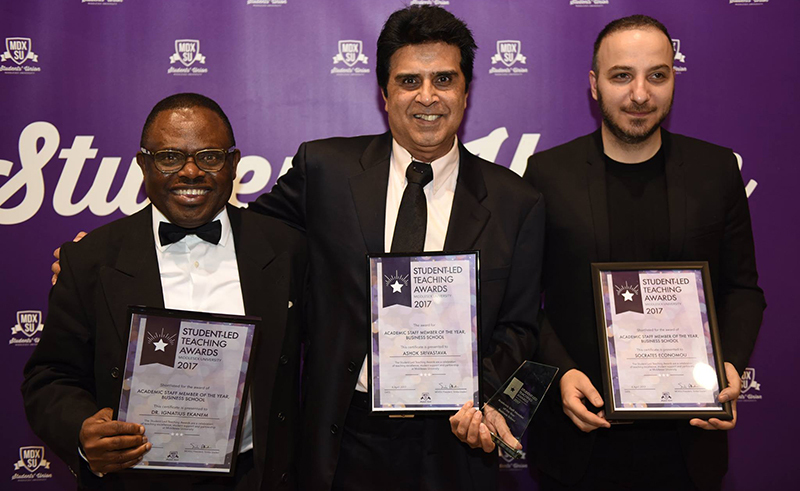 There were nine awards open for nomination this year, from Outstanding Feedback to Support Staff Member of the Year. 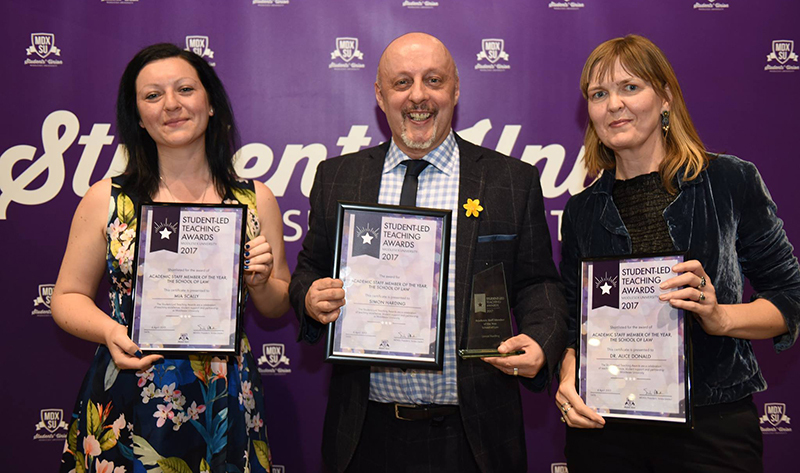 There was also a MDXSU Partnership Award for university staff members who have played a key role in supporting and promoting the work of the Students' Union this year. MDXSU vice-presidents Orla Hillary and Katie Dragomirova hosted the ceremony, which included music from singer and BA Music Business and Arts Management student Iva Angelicheva. In his opening speech Vice-Chancellor Tim Blackman spoke about his experience as a lecturer and the value of sharing excellent teaching. "There are many different ways to teach well, which we will see tonight. A common thread, which we will also see, is passion," he said. "She listens to what we are asking from her and the course and teaches us things which will be of genuine use in professional life." "Her understanding of real world PR is obvious - she manages to take the theory and present it in real world situations to help us engage." "Ashok is firm with us but very understanding. He's sort of like a school father. He tells us off when we're wrong and encourages us when improving. In seminars he doesn't just stand behind the desk or read off the slide. Everything is from the top of his head." "Simon holds the status of subject expert consultant within several subjects during his spare time and he brings all of this in innovative learning techniques to inspire the next generation of criminal justice academics and practitioners." 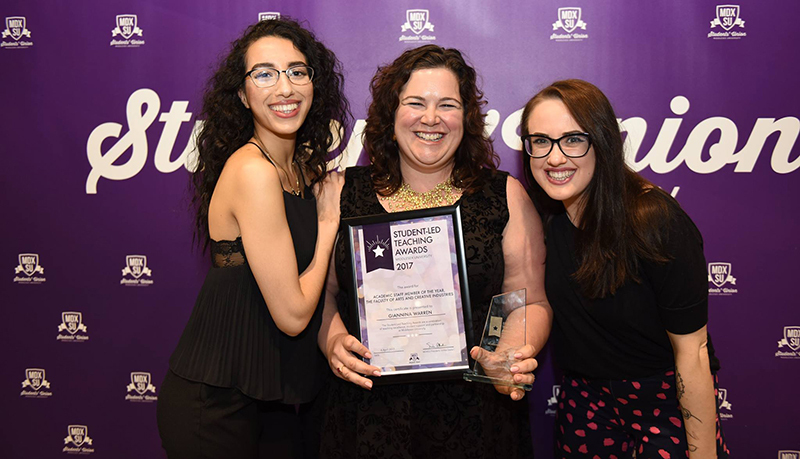 "Nikoleta has always given her students extra support before they even ask for it ... She always does extra background reading on the child nursing content she teaches us." "She has great knowledge in her field, always provide excellent examples and support all her students within all the seven modules she's running. "Daniel provides the opportunity to have one-to-one feedback on written work or any other questions. Both quantity and quality of his feedback is excellent." "Shazad is kind, incredibly supportive and very professional. If a student is struggling and reaches out for help, he will get back to him/her with useful feedback within a very short period of time. Students know they can count on him." "Lughaidh tries exceptionally hard to get students involved in extra-curriculum activities, such as pro bono legal aid work." 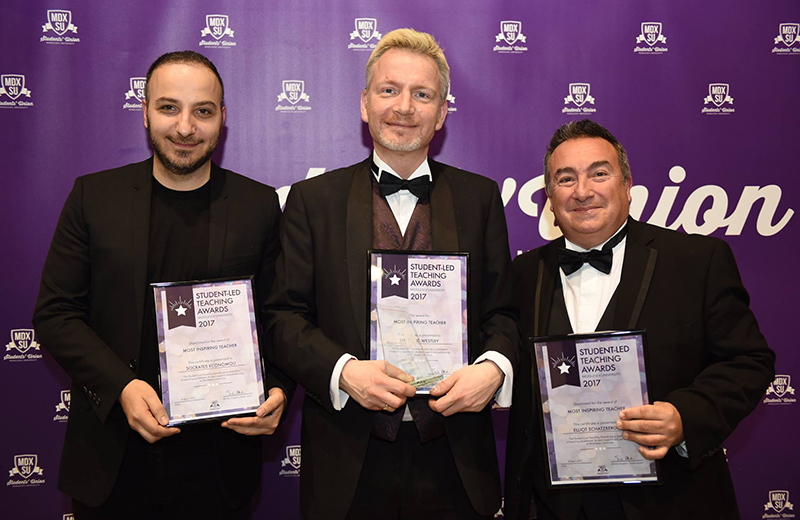 "David has had an unfaltering ability to inspire and encourage his students through his own topics as well as in their other modules and as individuals. He never fails to bring a calming and reassuring perspective in any situation, and continuously goes out of his way to be helpful and flexible regardless of whatever problems or issues may arise. I will never forget his role in my life, both on an academic level and as someone who has never failed to have faith in me and every student."